What a strange, off-beat love story we get from this Korean production. 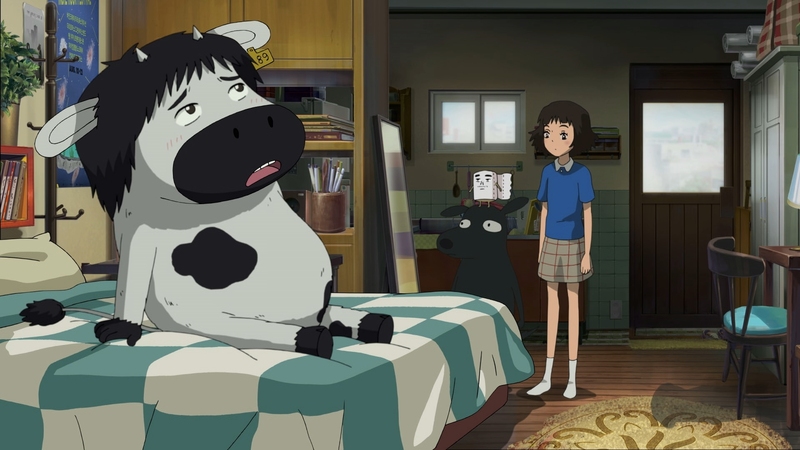 Satellite Girl and Milk Cow is a 2014 animated film, finally seeing a home video release here in North America courtesy of GKIDS and Shout Factory. 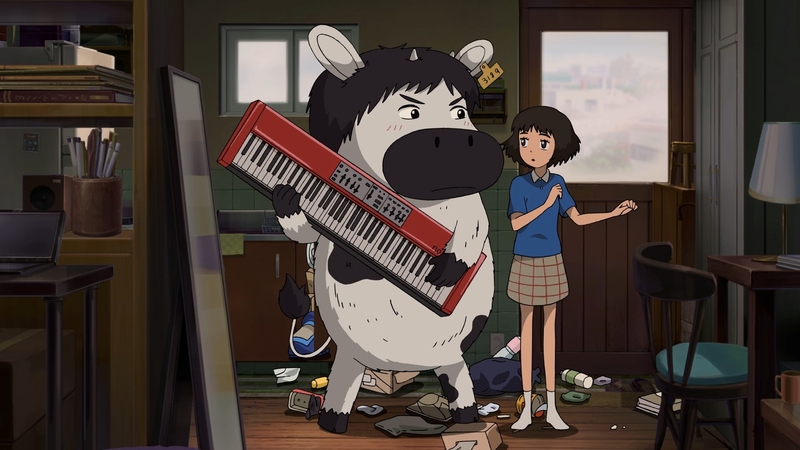 The sweet, simple film is about a Korean satellite turning into a girl and then falling in love with a musician that has been turned into a cow. 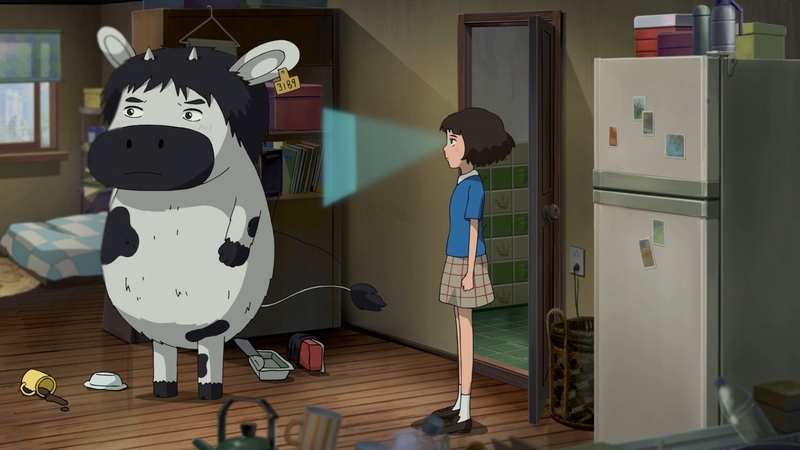 Directed by Chang Hyung-yun, get ready for anthropomorphic love between a cow and a satellite. The child-like fable meshes hopeless romanticism with modern technology. A charming chimera of Korean fantasy and romantic anime tropes, it stands out from the crowd for its genuine emotion and heart-felt storytelling. Even if you are versed in the strange ways of anime, this is a different kind of movie that takes creative chances and mostly succeeds in delivering a satisfying tale of love. 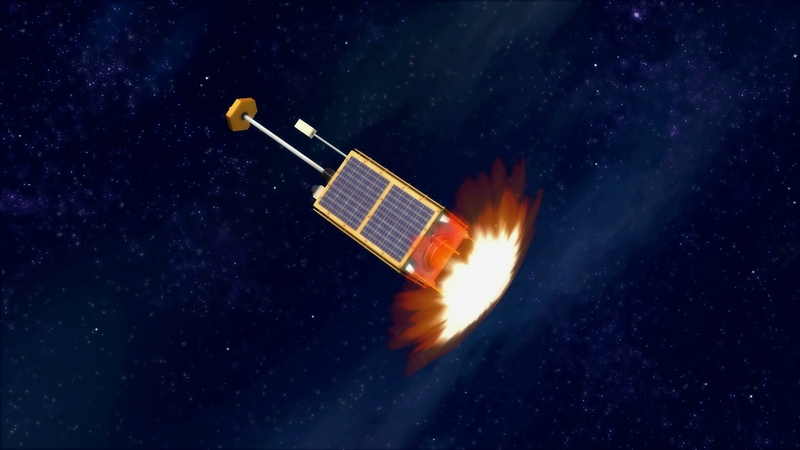 An out-of-commission Korean satellite named the KITSAT-1 picks up a hopeful, sincere ballad on her radio antenna. Strangely touched by the song, the satellite descends to Earth to find the source of such pure emotion. 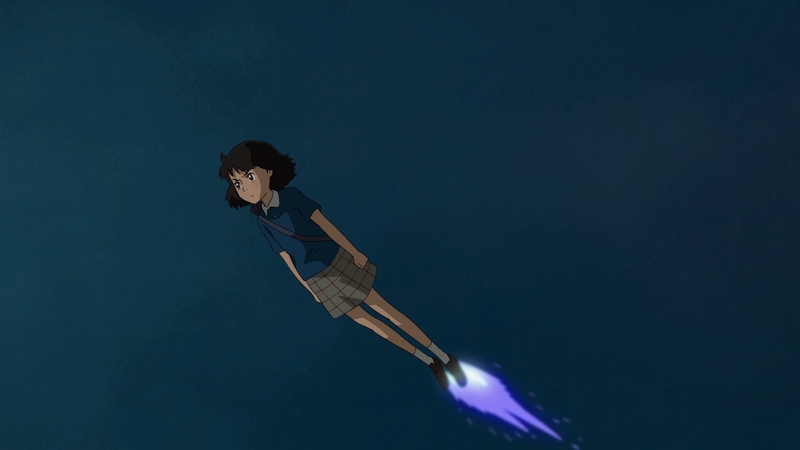 Crashing to Earth, the satellite is caught in a magical battle and gets transformed into the titular Satellite Girl. The robotic girl can shoot missiles from one arm and fly, remembering her time as a satellite. She doesn’t really understand what’s happened but looks for the singer that drew her to Earth in the first place. This is where the story starts becoming more whimsical. The singer in question, a twenty-something loser at a café open mic, meets a bizarre fate that gets the plot rolling after getting his heart romantically crushed. Kyung-chun is turned into a walking, talking farm animal. Now a cow, his life is turned upside down when he meets the intriguing Satellite Girl. Kyung-chun is aided by the powerful Merlin, a talking roll of toilet paper. Yes, you read that last line correctly. Merlin is a magician that has been trapped in toilet paper. 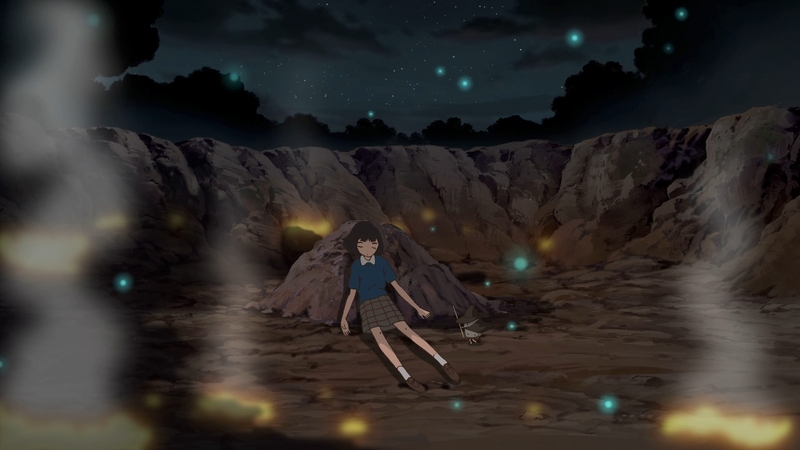 Together they must evade the Incinerator, a monster that stalks Satellite Girl and Kyung-chun. 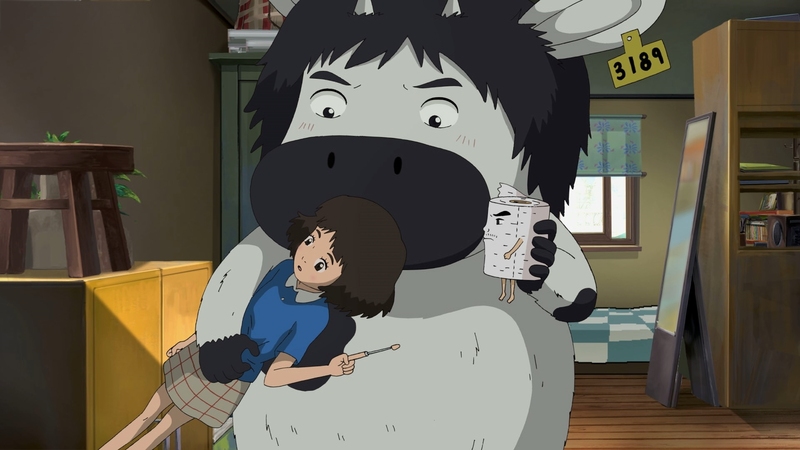 Satellite Girl and Milk Cow is certainly imaginative and sweet. Specific themes naturally arise in the movie, from love conquers all to the planned obsolescence of technology. 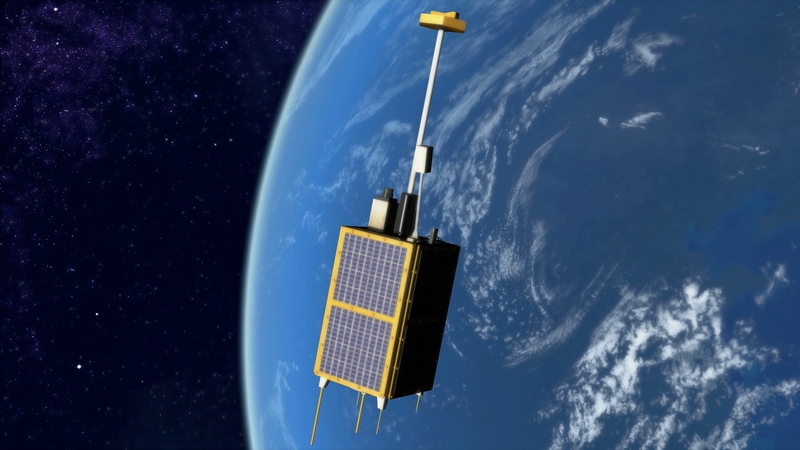 Satellite Girl has to deal with the reality of her planned decommission for a newer satellite. She’s falling apart during her adventures with Kyung-chun, adding extra tension to their burgeoning romance. Some of the Korean cultural references flew over my head as a Western viewer, though that didn’t blunt my enjoyment of the movie. The English dub is solid if you don’t speak Korean or enjoy reading subtitles. The gentle film has a childish approach to its drama and storytelling that translates to any audience, even if it feels aimed more at adults than children. 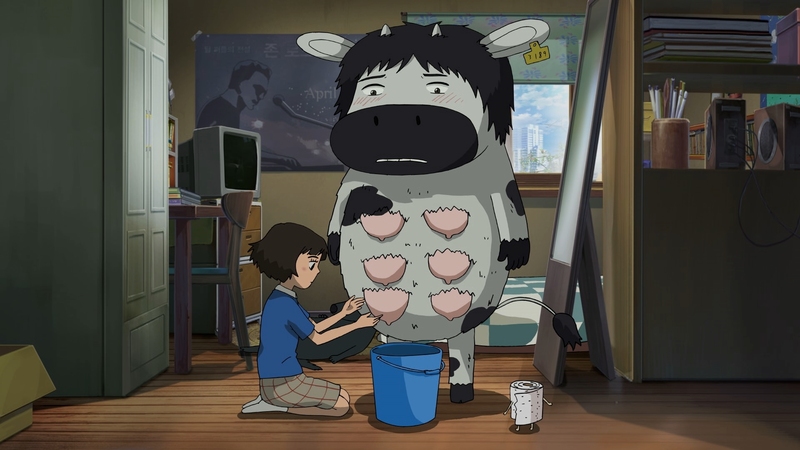 Dabbling in anime tropes, Satellite Girl and Milk Cow is a unique animated film coming from a different perspective than normal. 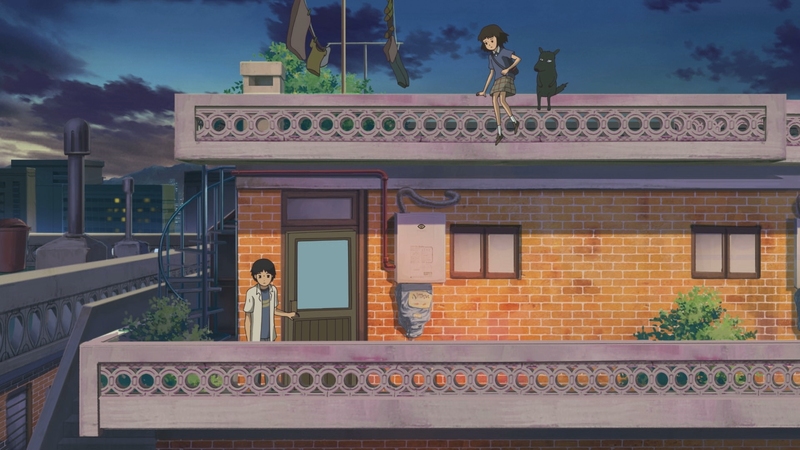 It was made in the spirit of Studio Ghibli’s classic movies, even if it’s not quite as polished as those beloved Japanese films. 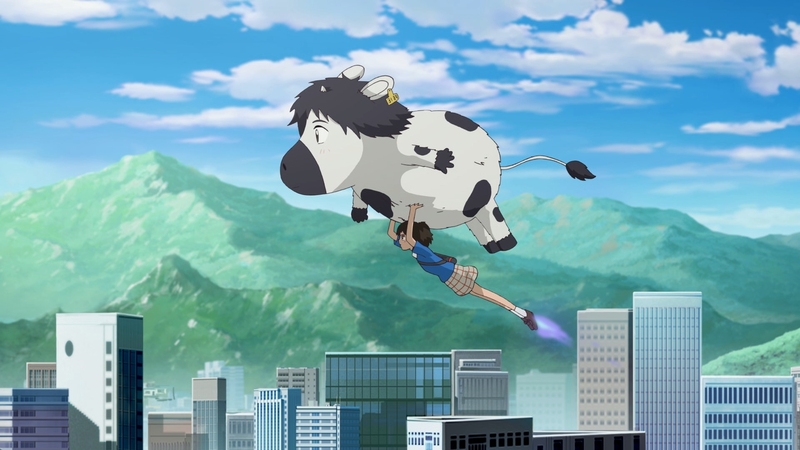 Shout Factory and GKIDS bestows Satellite Girl and Milk Cow with a fine Blu-ray presentation comparable to most better anime on the format. 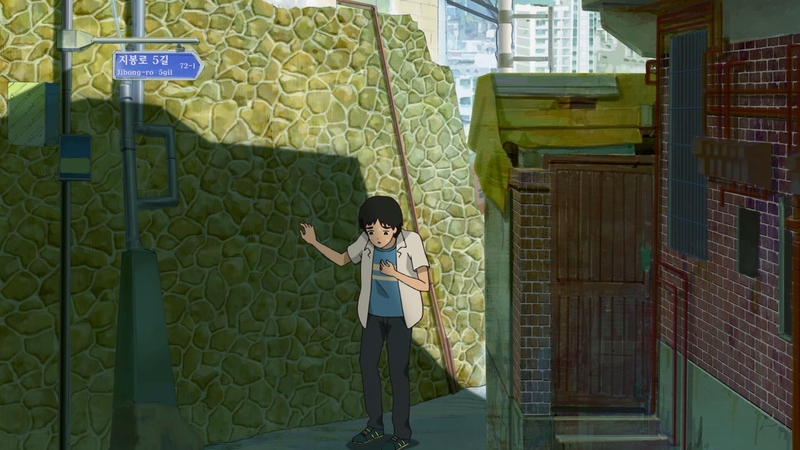 Korean animation studio Now Or Never produces a crisp, colorfully animated movie inherently made for 1080P video. The 81-minute main feature receives a high-bitrate AVC encode on a BD-50. That isn’t enough to overcome some endemic banding baked into the Digital Intermediate. Otherwise this is rock-solid video. The movie’s character designs are simple, etched with clean textures and bold primary colors. Excellent black levels and a perfect contrast give the movie a complete expression of the pristine animation in Hi-Def quality. 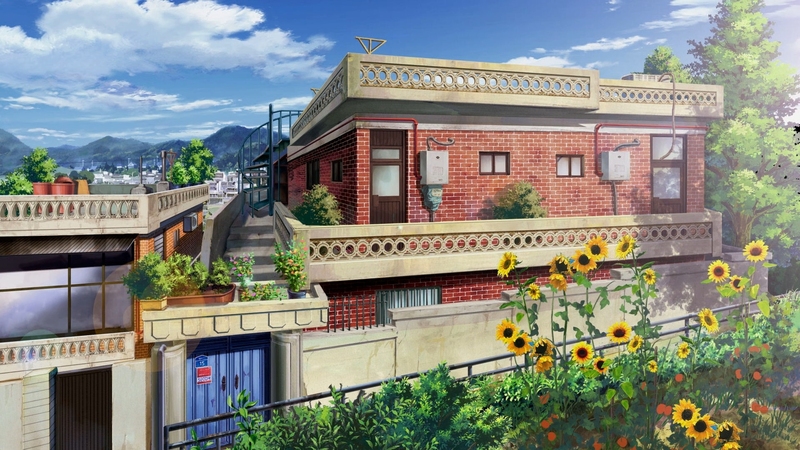 It incorporates a few 3-D CGI elements but this is largely hand-drawn animation of the type commonly found in anime productions. A close examination would reveal a few flaws in the line art’s movement. While it lacks the sheer prestige and weight of something from Studio Ghibli, this is solid animation that fits nicely on Blu-ray. Both the original Korean language soundtrack and an English dub are included, both in 5.1 DTS-HD MA. The panning and sound design are better than average. Pay attention as Satellite Girl flies across the front soundstage. There aren’t significant differences in terms of fidelity and impact between the two different audio options. 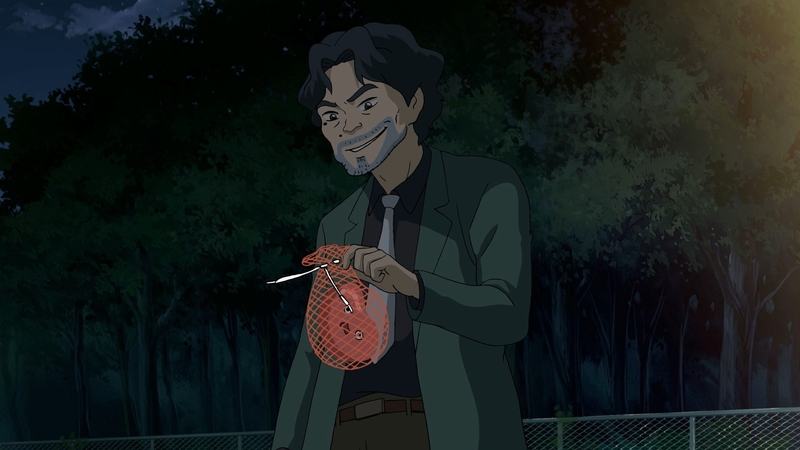 The English dub, with voice actor Daniel Edwards playing Milk Cow, offers decent immersion. Aside from the main Korean song played for Satellite Girl, you really don’t feel like you are missing anything substantial hearing the English dub. The Korean soundtrack has intelligible dialogue and fairly typical “anime” vocal performances. Three sets of optional subtitles are included: English SDH, English and French subtitles. The English SDH set is for the English audio, while the second set of English subtitles translate the Korean soundtrack. There are differences if you read both of them. Distributed by Shout Factory for GKIDS, first pressings include a slipcover. This Blu-ray and DVD combo set includes one significant special feature, an excellent short film from director Chang Hyung-yun that anticipates many of the same themes found in Satellite Girl and Milk Cow. Coffee Vending Machine and Its Sword (29:53 in HD; Korean 2.0 DTS-HD MA with English subtitles) – An excellent animated short film that stands on its own and in some ways is more polished as a story than the actual feature. A restless samurai is reincarnated as a coffee machine. The anthropomorphic coffee machine is taken in by a woman to make money and the two develop a close relationship in the course of business. What sounds wacky and bizarre is actually a moving examination of their relationship. 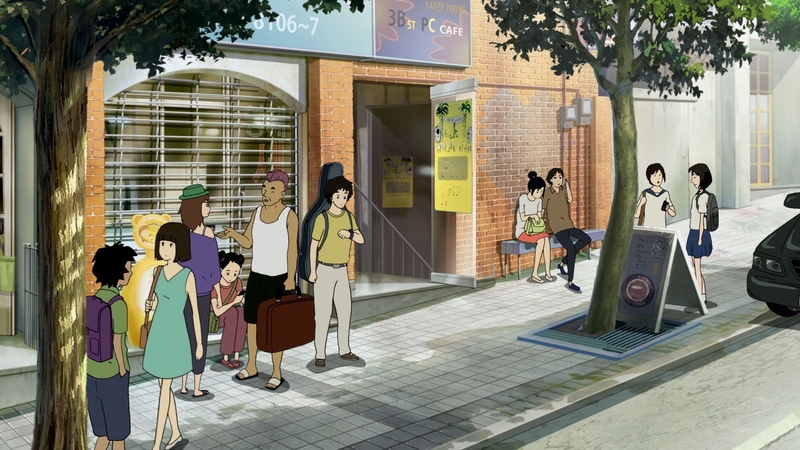 It’s a polished gem worth seeing if you are into foreign animation. The off-beat movie is one step removed from a Studio Ghibli-type creation, lacking that extra layer of refinement and sophistication. The unaltered images below are taken from the Blu-ray. For an additional 16 Satellite Girl and Milk Cow screenshots, early access to all screens (plus the 12,000+ already in our library), exclusive 4K UHD reviews, and more, support us on Patreon.